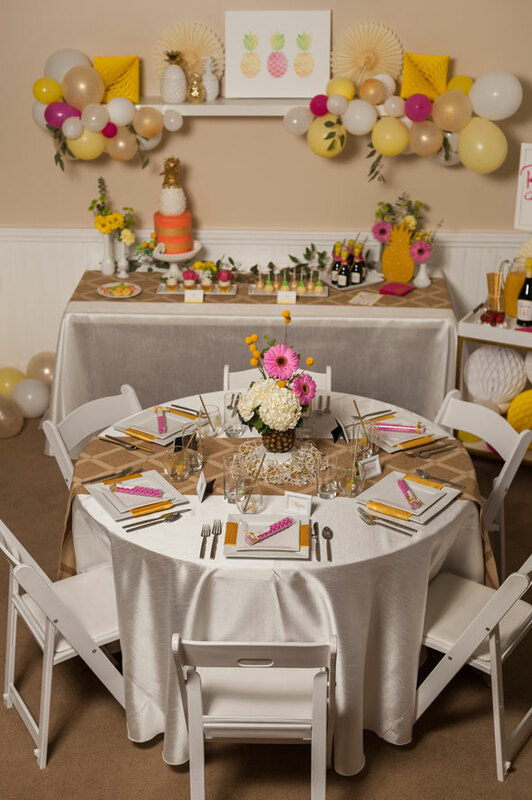 Bridal showers are such an incredibly important right of passage for most brides. It’s time to celebrate love and commitment with those who are closest to you. 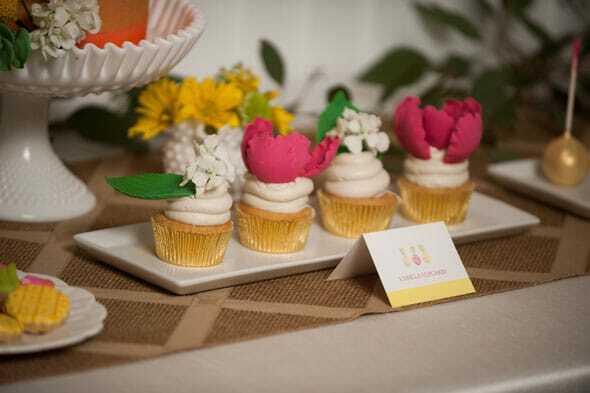 It’s also a time to have fun and showcase more about the bride and her taste. 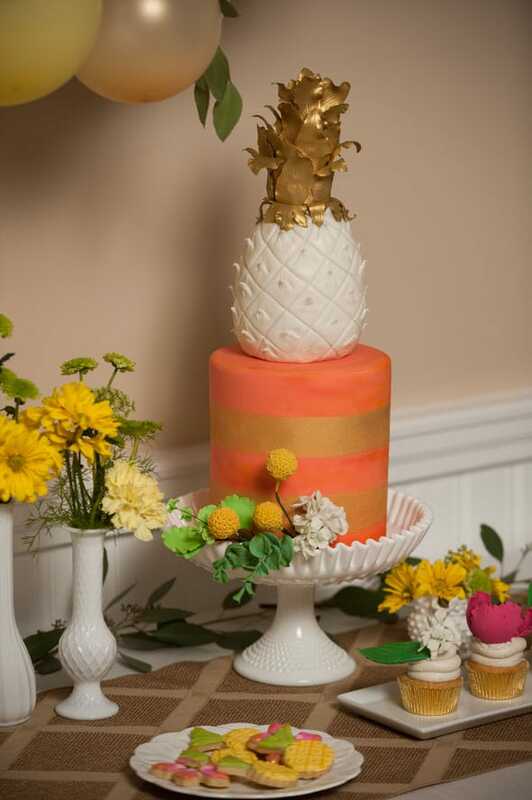 And what’s more fun than a light and bright Pineapple Themed Bridal Shower? This theme opens up so many colorful and creative avenues. 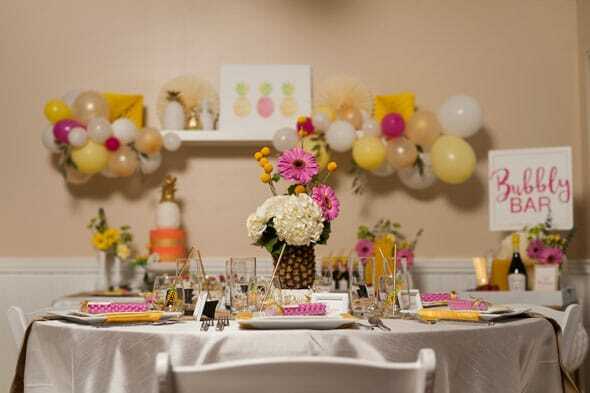 Hey Girl Events styled the event and chose yellow, pink and gold as the main inspiration colors. Guests were treated to a tropical themed lunch! Mark Alison Photography was there to chronicle all of the details, which turned out amazing! 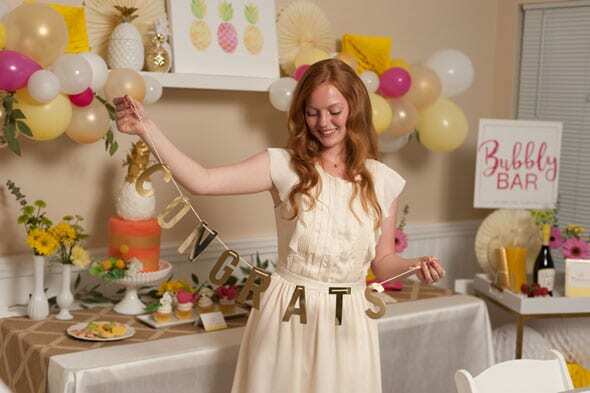 Invitations were designed to let guests know that this bridal shower would be full of whimsy and fun! 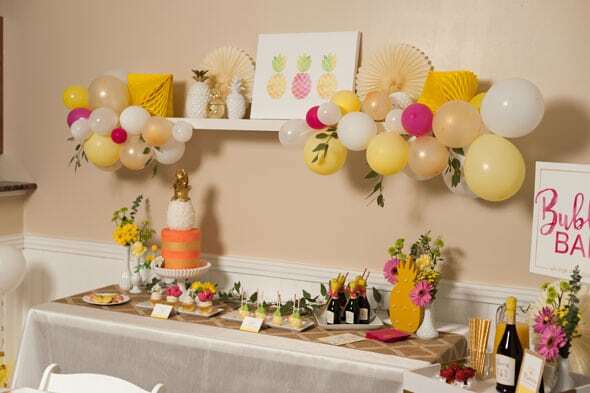 Decorations started around the balloon garland, which was absolutely beautiful! Hey Girl Events added seeded eucalyptus to make the balloons come alive (and it smelled great!). 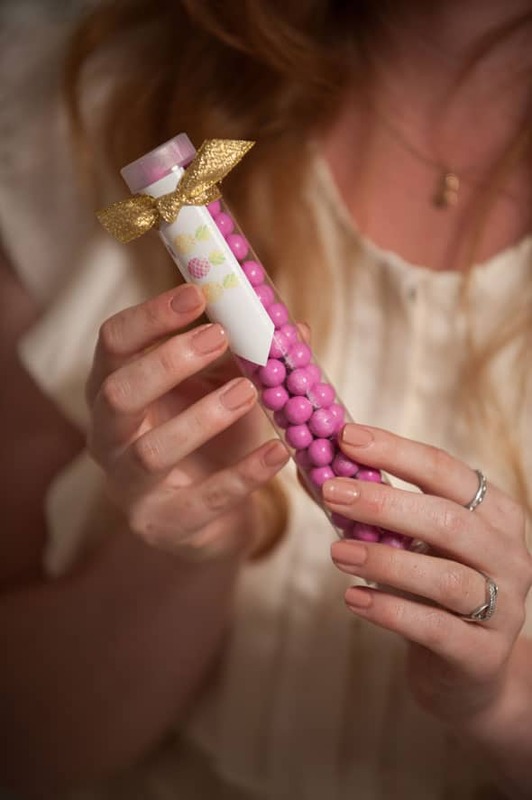 Fancy That also created Candy Favor Tubes, Pineapple Balloons and Honeycomb Decorations that were highlighted around the bridal shower. 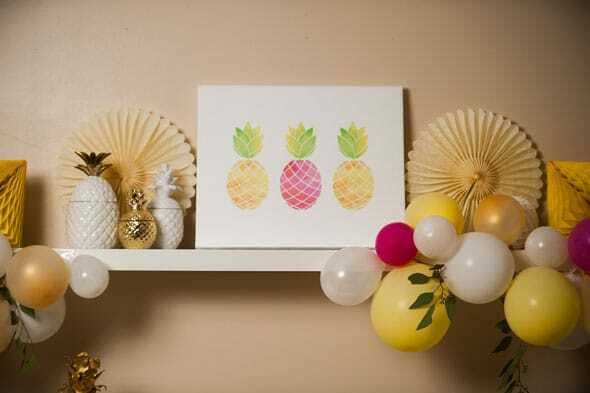 Pineapples were collected to use as statement pieces and to give the decorations some dimension. 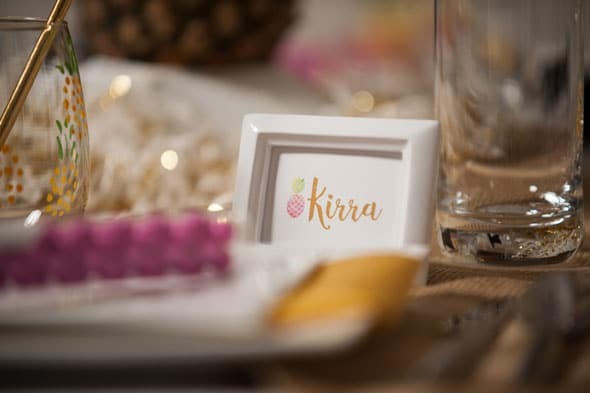 It’s all about the details, so each piece that was used had a special touch, right down to the place cards for the guests! 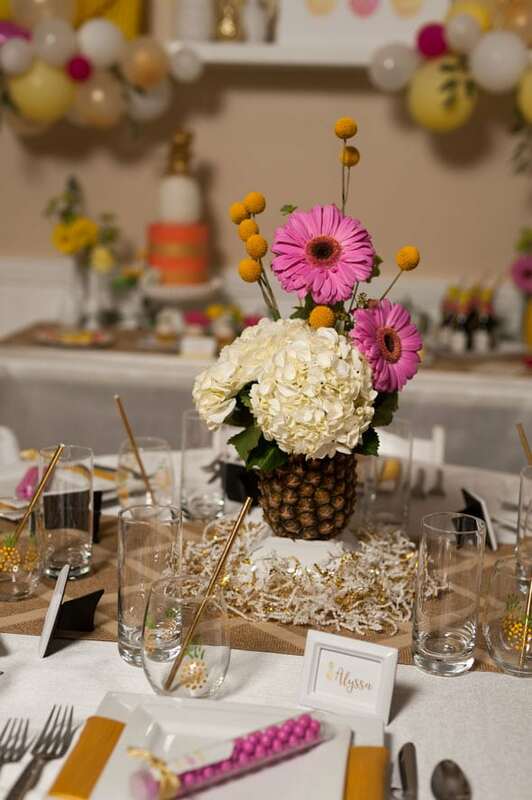 And how about those amazing flowers and centerpieces, which were created by Lotus Pod Studio? So amazing! 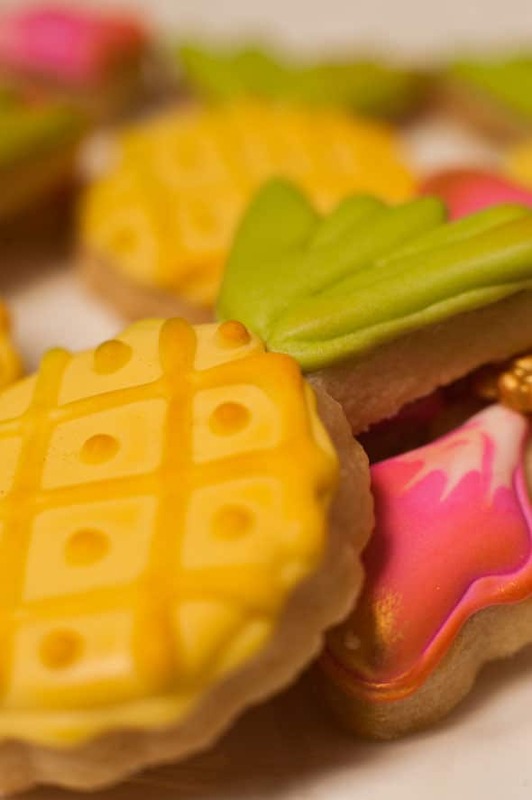 The bride was thrilled with each special item that was used to represent her tropical tastes. 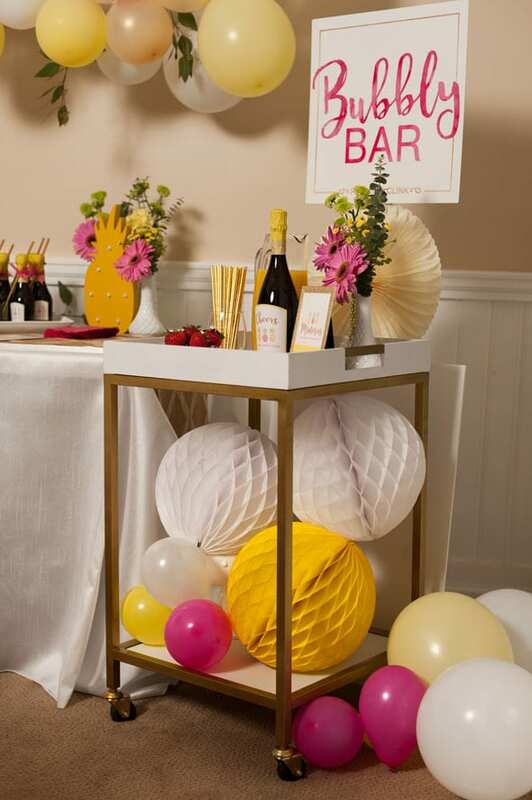 And what bridal shower isn’t complete without a bubbly bar? 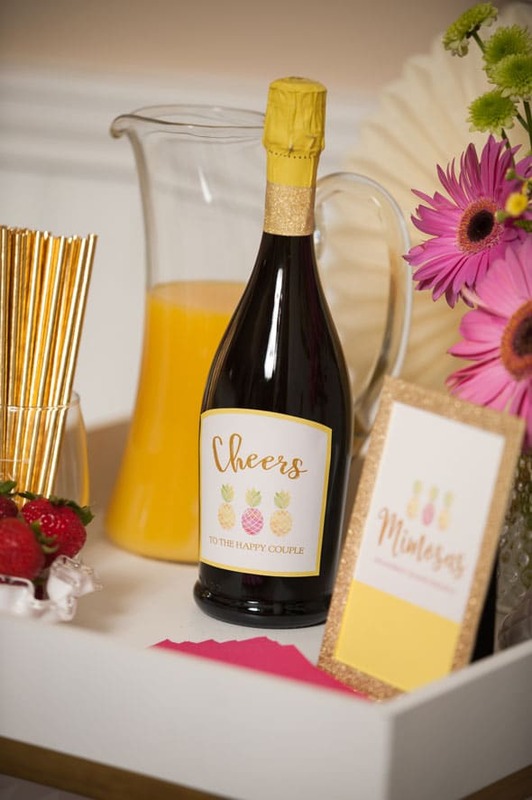 This was the bride’s favorite detail with mimosas being served from a decorated bar cart. 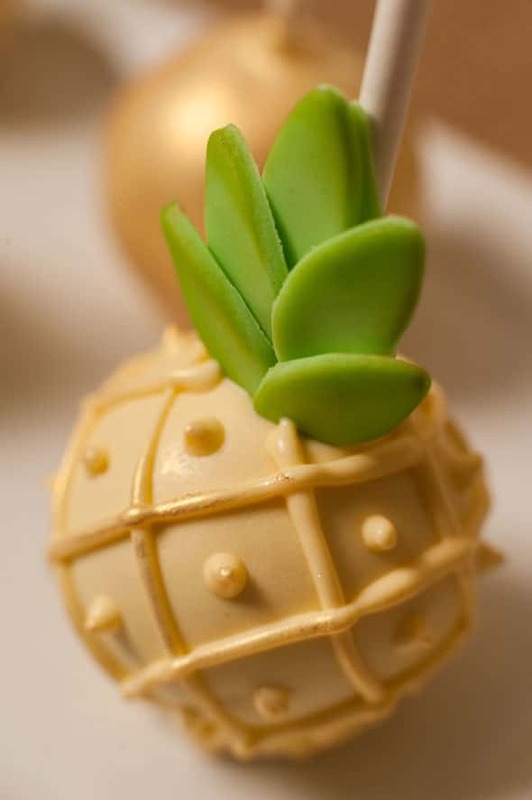 An incredible cake, cookies and cake pops were served, all representing the fun pineapple theme, which were made by Astonishing Cakes! Yum! 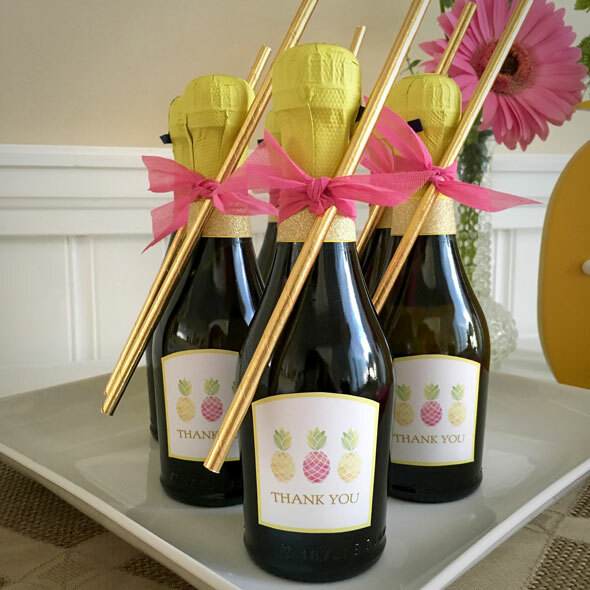 What an easy and engaging theme for any type of party you may be throwing… and don’t forget to add your own twist to the bubbly bar! So fun! 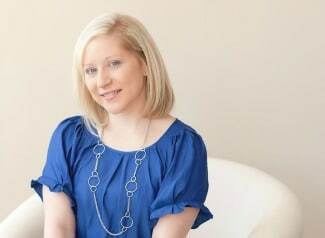 This feature contains affiliate links. When you purchase something from affiliate links, Pretty My Party receives a small percentage of the sale price at no cost to you. Thank you for supporting Pretty My Party.